We reproduce the test cases initially proposed by Schwarz et al., 2006, section 4.1, with Dirichlet or Neumann boundary conditions. 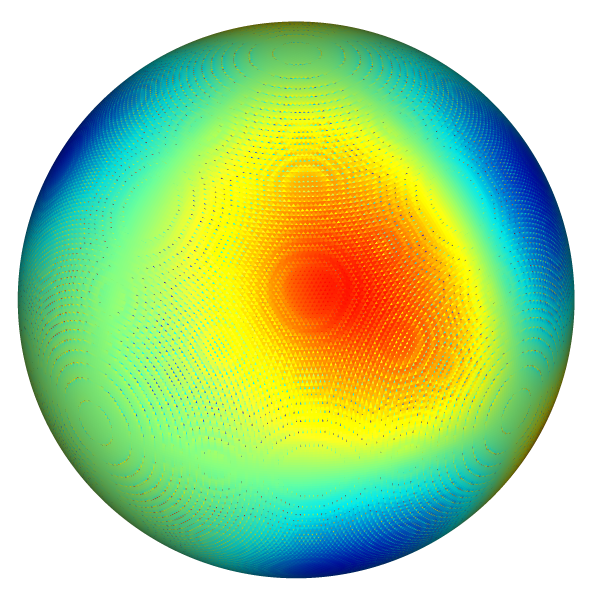 The domain is a sphere of radius 0.392 centered at the origin. The boundary conditions on the embedded boundary are Dirichlet and Neumann, respectively. We use “third-order” face flux interpolation. The right-hand-side Δa=−14a is defined using the coordinates of the barycenter of the cut cell (xc,yc), which is calculated from the cell and surface fractions. The Poisson equation is solved. The total (e), partial cells (ep) and full cells (ef) errors fields and their norms are computed. The solution error is displayed using bview. 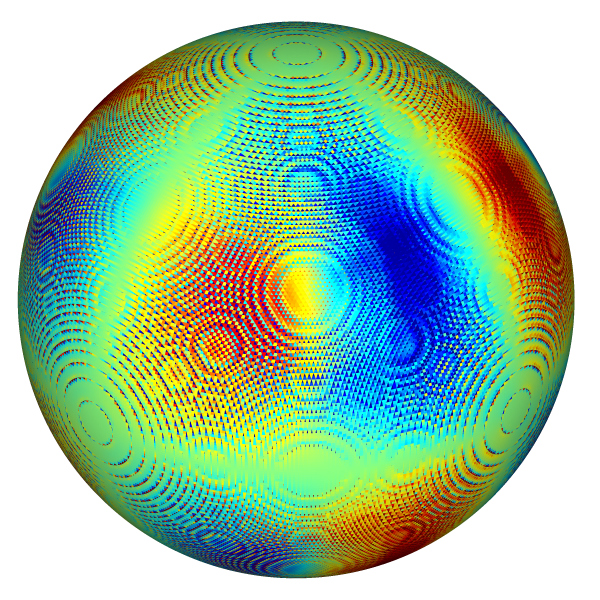 For Dirichlet boundary conditions, the residual converges at first order in partial cells. This leads to third-order overall convergence. For Neumann boundary conditions, the residual converges at less than first order in partial cells (which may be worth looking into). But this now leads to second-order overall convergence.